If you missed The Diabetes World Summit there are more than 30 hours of expert presentations available online and as instant downloads! 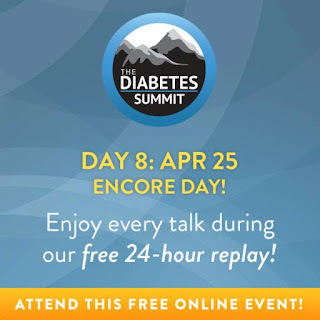 Gain tips, strategies and secrets for controlling and reversing type 2 diabetes, pre-diabetes and metabolic syndrome to help prevent complications and optimize your health! Click here to watch. (Apr.25th, USA Time). You don't have to accept headaches, mood swings, constant fatigue or dramatic periods. Online and is FREE from 11-18th of April.